Emily is a qualified Integrative Psychotherapist, accredited with the United Kingdom Council of Psychotherapists (UKCP). Emily is also in the final stages of completing a professional doctorate in Counselling Psychology at the Metanoia Institute, West London. Emily began her doctoral training in 2008. Emily is a member of the British Psychological Society and abides by their code of ethics. Emily has worked in the Mental Health field for the past ten years, including seven years experience with the NHS. She currently works in private practice from her rooms in Islington and in South Woodford, as well as in a community therapy service for parents and infants. At this time her therapy work mainly includes work with adults experiencing depression, anxiety, relational problems, relationship break-downs and overcoming past traumas. Emily also specialises in therapeutic work with expectant or new mothers and their infants. In the past she has worked with severe mental illness and addictions, as well as with children with emotional and behavioural difficulties. "I try to listen to the therapeutic goals of the client before deciding upon what sort of approach might 'fit'. Sometimes a client may be unsure what their immediate goals for therapy are, which would lead me to consider having a more open, explorative stance in the therapy. At other times, I might use a more cognitive behavioural (CBT) approach to support someone to actualise behavioural changes in their life.﻿ I believe that an understanding of a person's past relationships is extremely important in order to help them understand their current difficulties, and I see therapy as a way of detangling oneself from old, painful relational habits. I try and work with transparency, which involves being clear about how therapy works and how we will measure when you have achieved your goals." 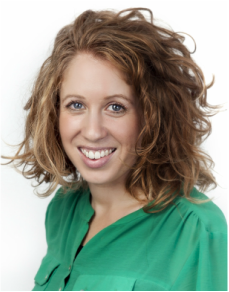 Emily specialises in the psychological issues of motherhood, and is co-founder of Mums In Mind, a wellbeing service for mothers in London. She also belongs to a North London psychotherapy consortium called Iasis Psychotherapy. Sam is a Family and Systemic Psychotherapist registered with the UKCP. Sam is also qualified and registered under the BACP as a psychodynamic counsellor. This means that he is able to work therapeutically with individuals, couples, families and children. Sam is a registered member of the British Association of Counsellors and Psychotherapists and abides by their code of ethics and is also a member of the Association of Family Therapists. 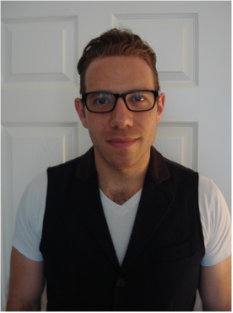 Sam has worked in the Mental Health field for the past eight years; he works in the NHS in a Child and Adolescent Mental Health Service (CAMHS) in Enfield providing family therapy. Sam has experience of working with children and families from a diverse range of backgrounds and across all ages. Sam has experience working in a variety of settings. Currently his work takes place in a secondary school, CAMHS clinic and a 'Looked after Children Service' where therapeutic support is provided to fostered children and foster carers. Sam also currently works for the Everyman Project providing both individual and group counselling to perpetrators of domestic violence and abuse.